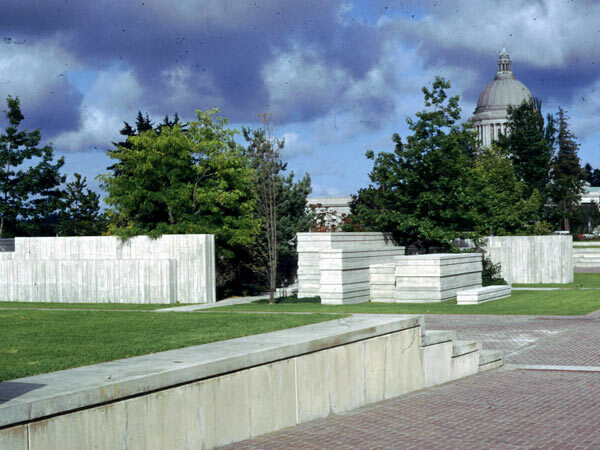 In 1967, landscape architect Lawrence Halprin was recommended by Spokane architects Walker, McGough, & Foltz and hired by the Washington State Capitol Committee to develop the East Capitol Campus Landscape Plan. The East grounds are an extension of the capitol campus plan conceived in 1911 by Olmsted Brothers and architects Wilder and White. 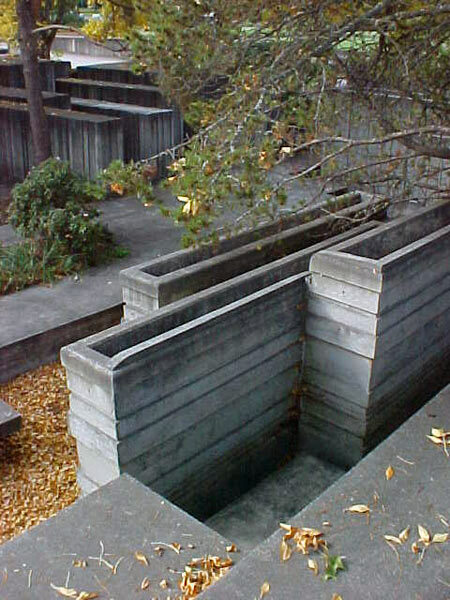 To create a more intimate space within the broad expanse of several existing institutional buildings, Halprin suggested a sculptural concrete fountain nested in a park-like setting and located in the center of a plaza. 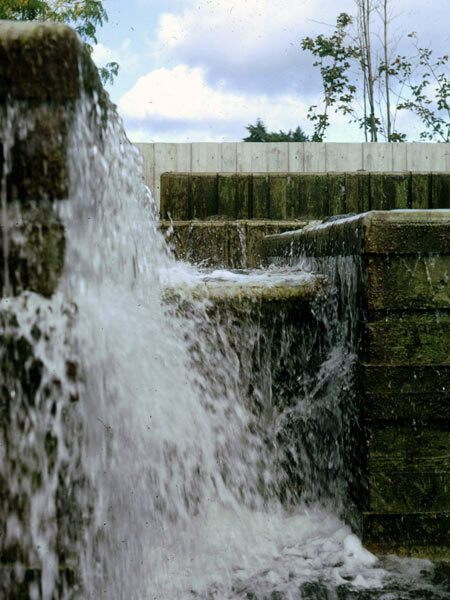 As evidenced in other Halprin projects such as Seattle’s Freeway Park, the grouping of poured-in-place concrete forms provides a multi-tiered base over which flowing water cascades and pools in basins at different established depths. 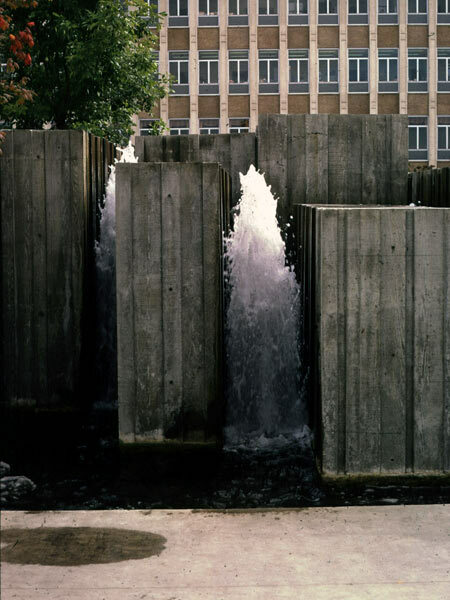 Opened in 1972, the interactive fountain, measuring approximately eighty feet square, is situated atop an underground parking garage. 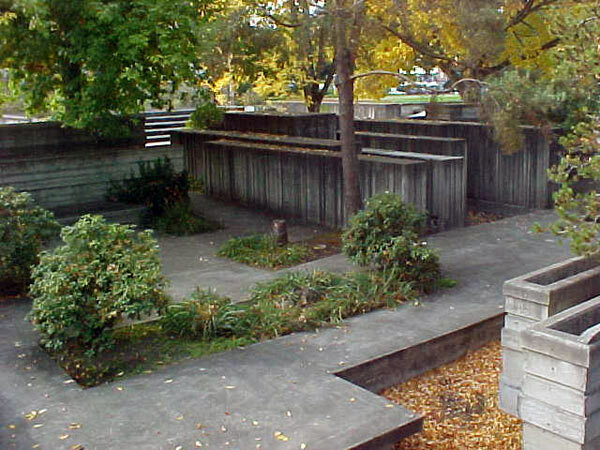 The fountain is set in a plane of mown lawn surrounded by brick paving and concrete steps that form the perimeter. 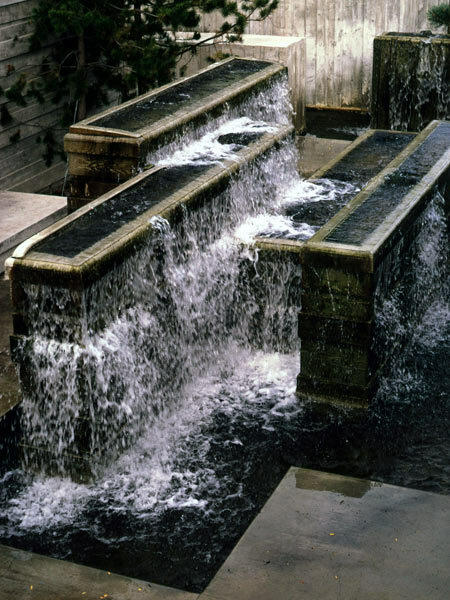 Although the fountain appears as a series of perpendicular or parallel walls, its layout was designed to be open and accessible, with four points of entry. 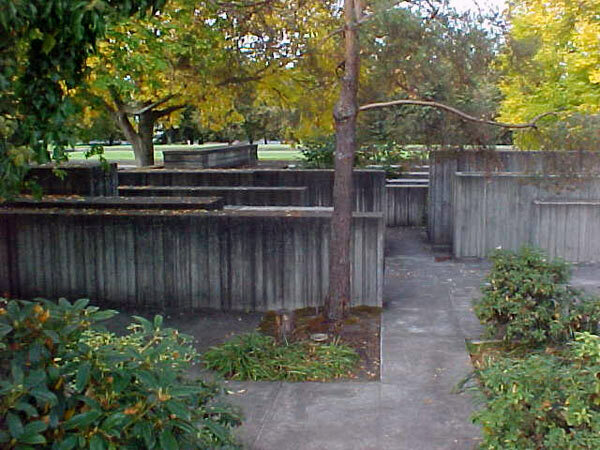 Six deciduous trees juxtapose the rugged geometric forms of the fountain and offer shade. 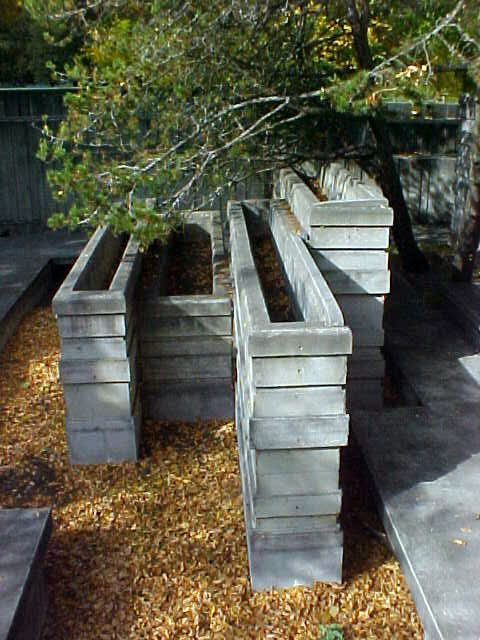 In the late 1980s, the fountain was shut off and drained due to leaks and foundation cracks caused by tree roots. Plans to restore it are in place but indefinitely on hold.